The 2017 winner of the Mike Weaver Award was announced tonight. 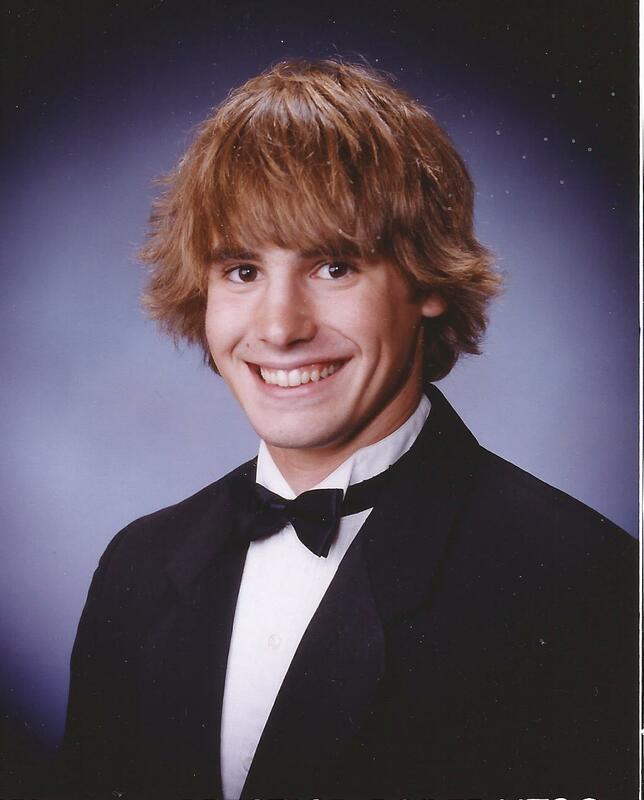 He is Hunt Stevenson, the son of Hunter and Heather Stevenson of Macon. The presentation, which took place on Thursday, May 25, was delayed several days. As everyone gathered on Saturday afternoon, May 20, lightning was spotted in the vicinity. The presentation was delayed until the following week to get better weather. 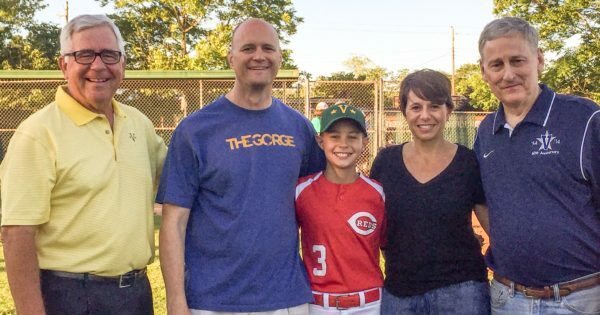 From left, Bill Weaver, Hunter Stevenson, Hunt Stevenson, Heather Stevenson and Bill Adams. Three past recipients of the Mike Weaver Award were present for the ceremony. Front row, from left, Henry Meyer, Dixon Anderson, Hunt Stevenson and Will Green. In the back row are three of Mike’s friends and his dad. 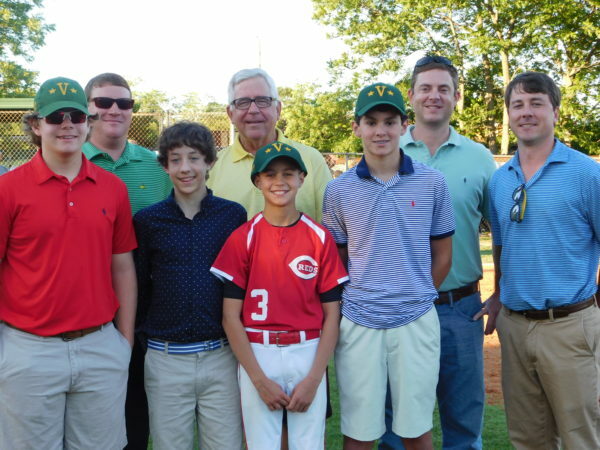 From left, Mitchell Goff, Bill Weaver, Chandler Penn and Stephen Adams. 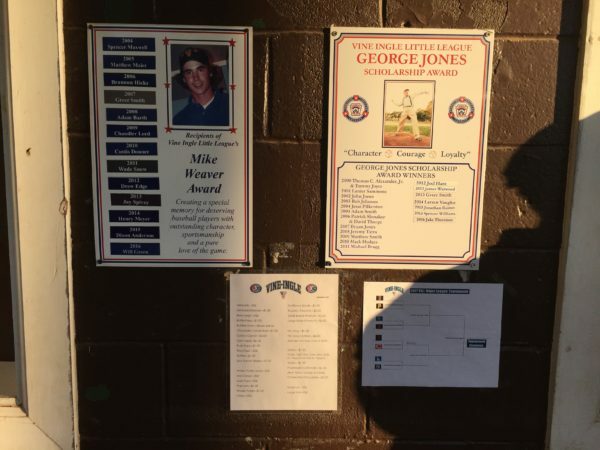 On the wall outside of the concession stand at Vine Ingle Little League are two signs that list the names of the league’s annual awards — The Mike Weaver Award and the Georges Jones Award.